Virtualization, in computing, refers the act of creating a virtual (rather than actual) version of something, including but not limited to a virtual computer hardware platform, operating system (OS), storage device, or computer network resources. The software or firmware that creates a virtual machine on the host hardware is called a hypervisor or Virtual Machine Manager. Our course is completely practical oriented methodology that consists of 25 % theory and 75% practical. We are teaching with all real time data sets and use cases. 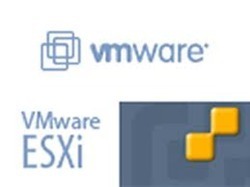 All Assignments solutions documents, quiz and answers will give more confidence to acquire Enterprise level Virtualization – VMware in your career. IT Coordinates established itself in the year 2013, as a Sole Proprietorship firm in the industry. We started our business activities from our head offices located at Chennai, Tamil Nadu (India). Our organization is a leading service provider for several services in the industry. We always pleased our customer by providing them quality services. Our wide range of services included Big Data Training Service, Peoplesoft Service, CRM Service, Cloud Computing Service, SAP Training Service and many more. We have an ample of experience and vast knowledge in this field. We always receive positive feedback for our excellent services in the industry. We treat all our customers with fairness and honest and communicate with them in professional manner. With the use of modern technology, qualitative equipments and professional team members, we executed our services in appropriate manner. We have played a vital role in helping the potential customers formulate their first impression of the business.